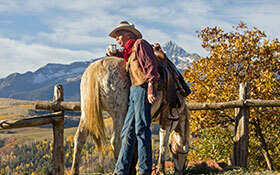 If you’re staying in Telluride or Mountain Village, Telluride Horseback Adventures is Telluride’s most experienced and established horseback outfitter. Local cowboy, “Roudy Roudebush” has been taking people on trail rides for over 40 years. Trips are available from one to two hour rides and customized pack trips can also be arranged. Make your Telluride wedding extra special and romantic by arriving and departing from your wedding venue in a horse drawn carriage or rustic wagon. 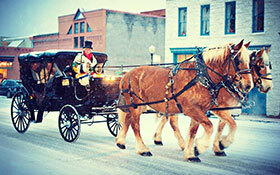 Roudy’s Belgian Draft Horses, Clyde and Frank, would like to be a part of your special event. Choose from our luxurious black patent vintage carriage, or our rustic barn wood wagon. 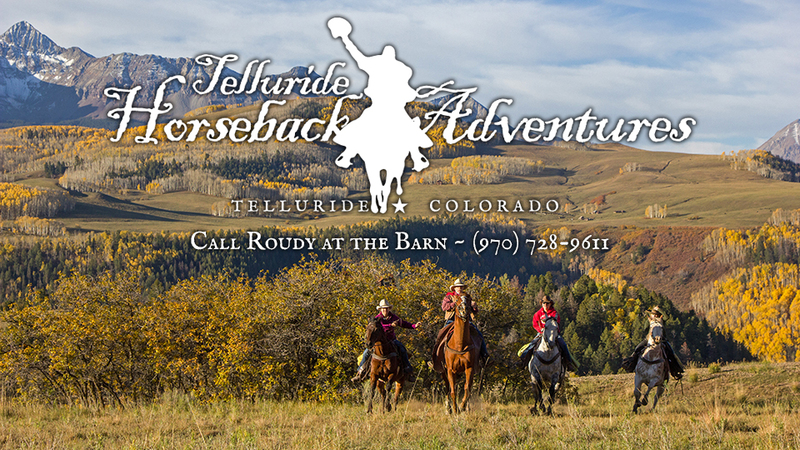 A Telluride tradition for four decades, Roudy Roudebush has been helping folks connect with their inner cowboy by experiencing Telluride’s beauty on horseback. 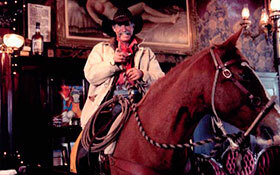 Roudy and his horses have become local celebrities, and have been filmed and photographed for decades. Now in semi-retirement, Roudy operates out of Norwood Colorado.